The Mario series has always been great and every game is populated with memorable moments, but one of my favorite Mario moments of all time isn’t part of any official game. It’s a level so hard that it’s worse than an R.L. Stine book, worse than Panic at the Disco. Maybe you’ve seen the video (NSFW Language). 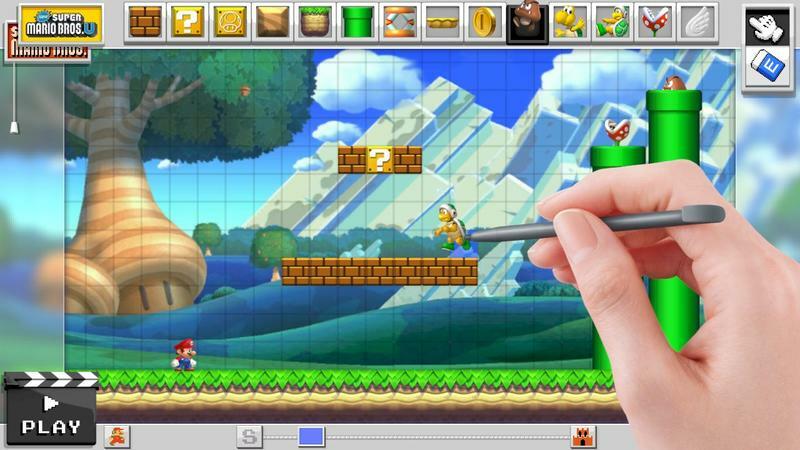 This is why I’m so excited about Mario Maker . 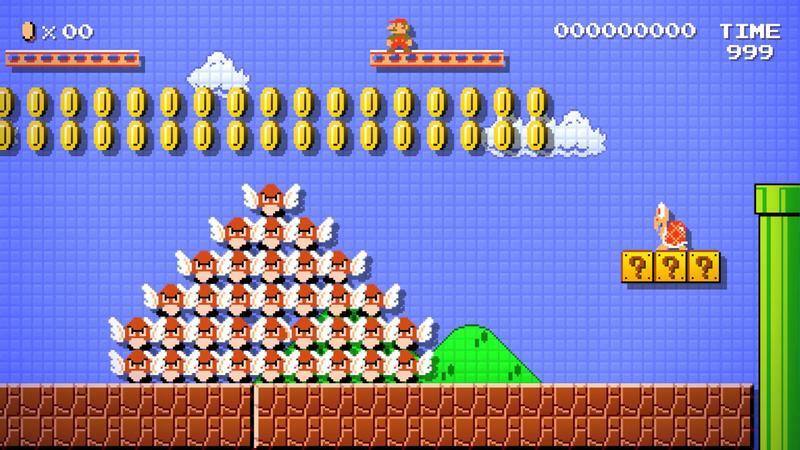 With Mario Maker , the potential to make awesome, frustrating Mario levels is endless. 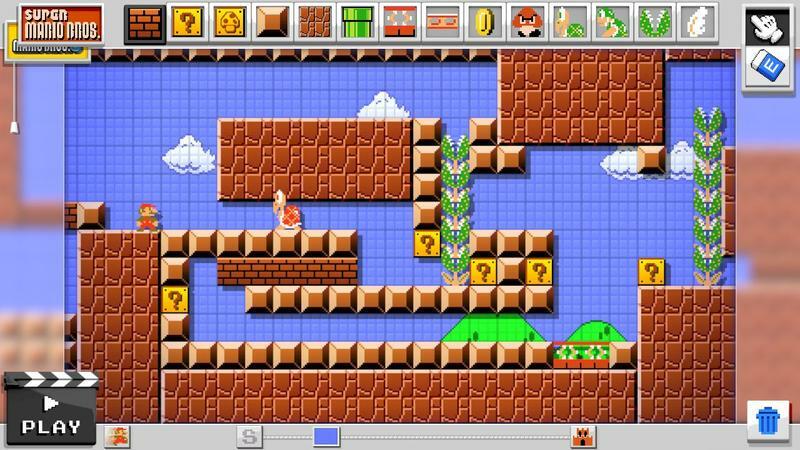 The blocks were pretty limited in the demo; pretty much including only Super Mario Bros. Level 1-1. Brown blocks, Goombas and Koopas, a blue sky background, that kind of thing. 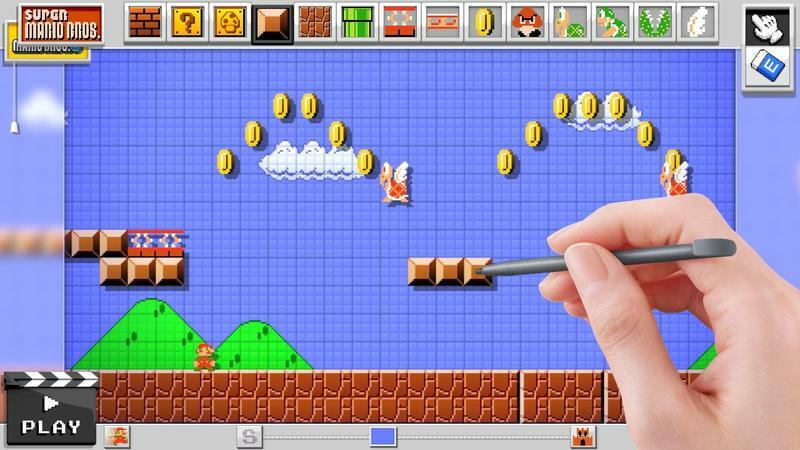 But even the first Super Mario Bros. has a few different kinds of levels, so we’re sure to see a much wider variety of blocks when the game hits. 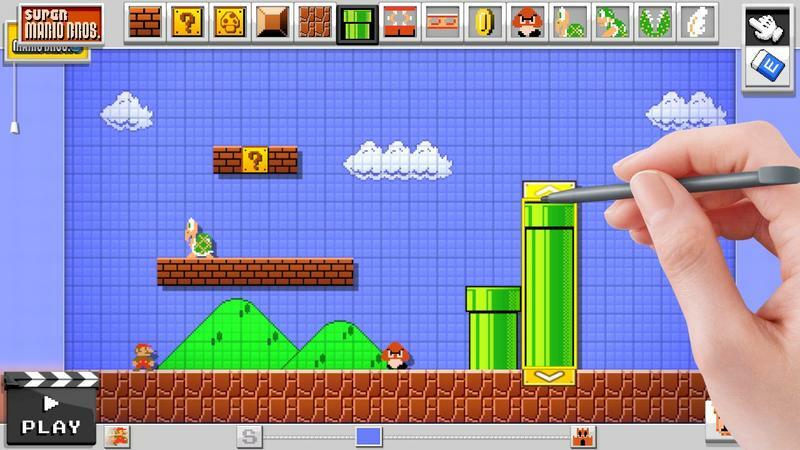 Making levels is about as easy as it gets. Just pick your block and start drawing. Erase if you mess up. Throw a pipe here, a pit there. Put down a Goomba and a Chomper – give ’em both wings. Once you have something you’re happy with, test the level. 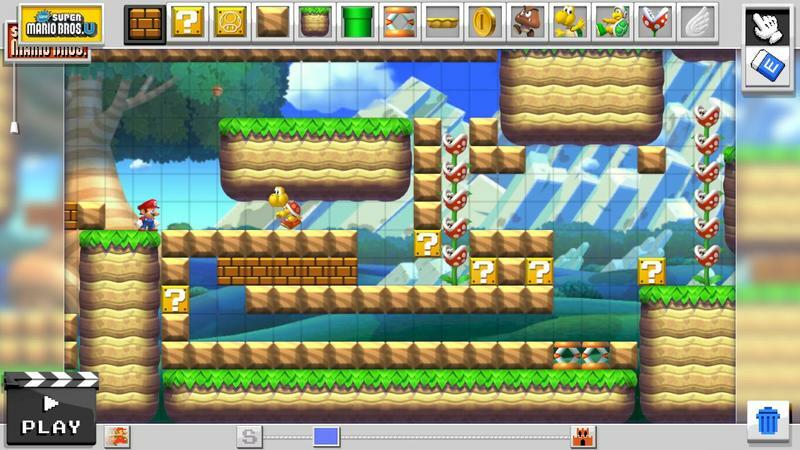 You can even jump seamlessly between the original NES Super Mario Bros. tile set and the one for New Super Mario Bros. U. This is my favorite part. 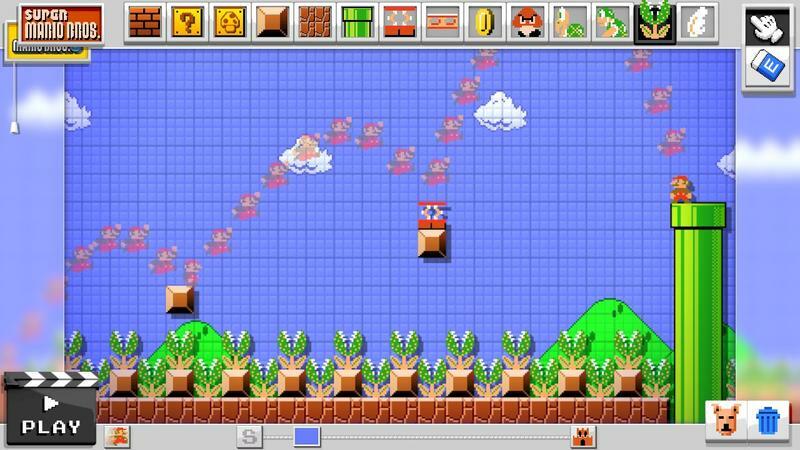 Not only can you test the level, but once you’re done, you can see the exact path Mario just took through the level. This will allow you to place that invisible block just perfectly to confound whoever is fortunate enough to play your game. You can make sure that only the most carefully prepared jumps get to stay out of the bottomless pit. Nintendo isn’t ready to discuss sharing or how we’ll be able to buy Mario Maker quite yet, but I’d be surprised if this wasn’t an eShop exclusive. The game only has Super Mario Bros. and New Super Mario Bros. U blocks right now, but I hope we’ll see some other Marios showing up later on.